ASHLAND , Ky. (HNN) – Van Johnson, Henry Fonda and Lucille Ball stars in the Paramount Performing Arts Center’s Second Sunday (Retro) Film Series. 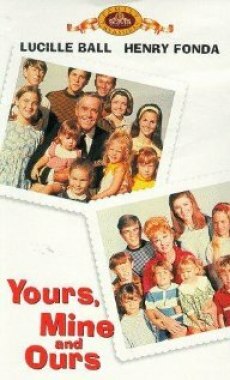 “Yours Mine and Ours,” in which a widower with ten children hitches a widow with eight children rolls at 4 p.m. Sunday afternoon, May 8. The two meet at a naval base in San Francisco, where there’s an instant attraction, but the sheer size of the potential combined family leads them to call it quits. However, Cupid and a Naval officer intervene and soon they must face preparing 18 school lunches, a son going off to war, and a new addition to the family. Tickets are $4 and can be purchased at the Paramount which is located on Winchester Avenue in Ashland. For information, call the box office at 606-324-3175.